To inspire the world with my passion for Ceramics & Pottery by creating beautiful works of art in addition to teaching beginners how to bring out their natural creative potentials. Summary: Attended the International Pottery Festival in the capacity of an artist. Awarded a Diploma in Ceramics (specialized on the formulation of glazes and raw materials). Summer School: Attended full time Ceramics Course from 1978 to 1980. 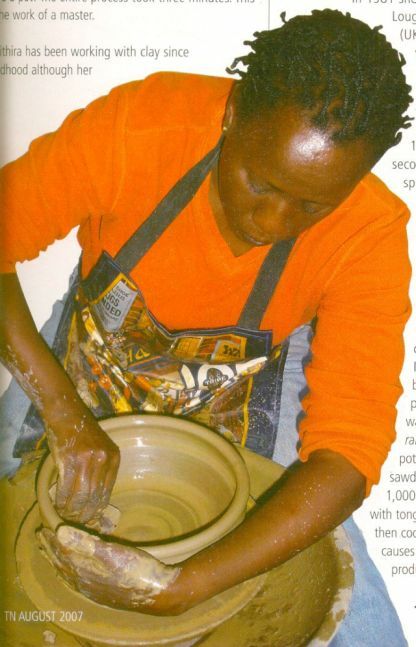 – participate in various exhibitions and yearly craft fairs while teaching pottery lessons. Summary: Oversaw the development of a wide range of ceramic products that are sold at Spinners Web Kenya and to clients primarily in the Food & Beverage and Hotel industries. 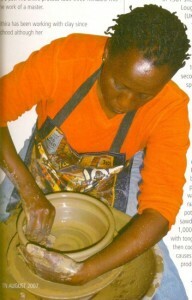 In addition, I taught courses in Pottery to children and adults. Summary: Taught pottery to students while developing my own work which also included time off for educational pursuits abroad. Exhibited my artwork in 1984, 1987, 1990, 1993, and 1996. The 1996 Exhibition was featured on the Television magazine program, Maisha Arts. Traveling to meet and share information with various artists from around the world (ie. Japan, UK, France, Italy, Holland, Canada, Belgium, Tanzania). Wildlife expeditions, reading, and listening to a wide variety of music. For relaxation, I enjoy long, peaceful walks.